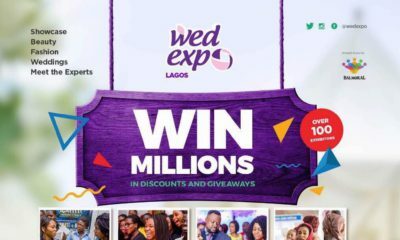 WED Expo, Nigeria’s largest wedding exhibition is set to be a double hit this year! This edition would hold alongside the Urban Food & Drink Festival – a food and drinks event for everyone. It’s going to be a mouth watering experience you don’t want to miss. No wedding or event is complete without tasty food and drinks. This time around, we are hosting a co-located event to bring you the best of everything weddings, fashion, beauty, lifestyle and of course food and drinks. It’s everything you need in one location! And admission is free! free! free! Are you a wedding planner, decorator, cake maker, makeup artist, photographer, videographer, asoebi merchant, bridal house, groom house, rings merchant, caterer, cocktail service provider, aso-oke maker, beads and accessories maker, souvenir merchant, DJ, MC, Event center, Travel agency, hotel, designer or you provide a service that will benefit about-to-wed couples? And of course if you are into anything Food and Drinks then you have to be at Urban Food & Drink Festival! Both events will hold in one location in Lagos and Abuja. Date: Friday, July 27th – Sunday, 29th, 2018. Date: Friday, August 3rd – Sunday, 5th, 2018. Venue: M and M Event Center, Beside Nicon Luxury Hotel, Garki Area 11. To book your booth, please send a DM via Instagram to @wedexpo or Call 09081840000, 09060007697, 09030001246. The rates are unbelievable. Admission is free! This will be a weekend to remember. Come get the best of vendors for your wedding and events and Come enjoy the best made meals and different flavours from our great chefs and food & drink vendors while listening to great music. There will be a wide range of local and international cuisines, barbeque, street food, baked goodies, the best of cocktail, wine and lots more! 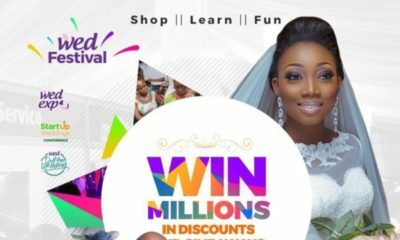 Don’t miss out on the opportunity to get everything you need for your wedding/event in one location at great discounts. 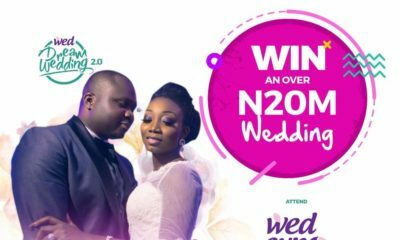 Start your journey to winning a wedding of your dreams worth N20Million! Remember the February 14th WED Dream Wedding where a lucky couple won the wedding of their dreams? See the amazing pictures HERE. This is coming back with a bang and more couples are going to have the opportunity to WIN this amazing luxury wedding. You can register for this at the next WED Expo in Lagos and Abuja. Come with your family and friends to cheer you up to victory. Also, there will be amazing prizes to be won plus the best in discounts and giveaways. Get the best deals from over 100 Exhibitors. Remember, admission is totally FREE! Follow us on Instagram, Facebook, Youtube for more information. Wedding & Event vendors, take advantage of the current booth sale for exhibitors. Hurry while promo lasts.